NextGen Security is a security systems integrator that specializes in large-scale, turn key projects & has a core expertise on installing and servicing security solutions for commercial companies, healthcare/pharmaceutical, and higher education facilities in the region, in addition to nationwide projects in the petrochemical and energy sectors. Our Company offers best in class industry knowledge, engineering design, implementation, management, and on-going maintenance services which is accomplished by hiring the best qualified talent there is to offer. 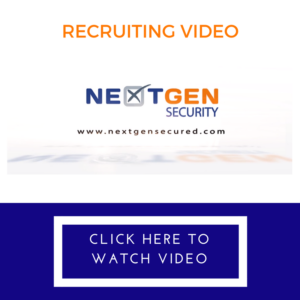 To apply for a position at NextGen Security, please email a cover letter and resume to hr@nextgensecured.com.